I chose this quote by Nietzsche as the title of my blog because I was reminded of it during a recent trip I took through southern Xing Jiang in Northwest China earlier this month. My friends in Xing Jiang introduced me to the multi-leaved poplar tree (poplar diversifolia). My friends brought me to admire the transient beauty of the poplar when it turns various hues of yellow prior to losing its leaves. This changing of color happens during a two-week period every year. The yellows hues are brilliant and draw large crowds from afar to come and experience its beauty. Of course, this beauty is intricately tied into transience, detachment, and death as the leaves change colors, die, detach themselves, and fall to the ground. 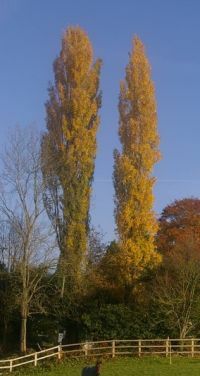 The well-admired poplar is part of the local folklore. It is said of the poplar that it will not die in three thousand years; even in death, it will not fall for three thousand years; and upon falling, it will not rot for yet another three thousand years (胡扬三千年不死，死了三千年不倒，倒了三千年不朽)! This is folklore and likely an embellishment. Nevertheless, the tale speaks of the vitality of this sacred tree, and its resilience is often used to portray an individual’s fortitude. The poplar is able to live in such an arid and desolate region because of its amazing adaptability. First, the poplar grows leaves of different shapes and sizes in order to gather nutrients in various conditions. Some leaves are oblong while others are semi-circular. One would never guess that the various leaves came from the same tree. The second secret to its resilience is its interconnected root structure. The roots of the poplar tree are extensive, extremely long, and interconnect with other trees. This suggests that poplar trees are interdependent. Yet, this takes place underground, invisible to the eye. Ah, if we can only learn from the trees that we are all interconnected, and will wither and die if left to ourselves.